Prehistoric plants and animals are the source of today's natural gas supply. The transformation from animal or plant into gaseous substance began millions of years ago, when, according to the U.S. Energy Information Administration, sand and silt built up over layers of decomposed organic matter. As the silt and sand turned to rock, heat and pressure slowly transformed some of the solid material into natural gas. 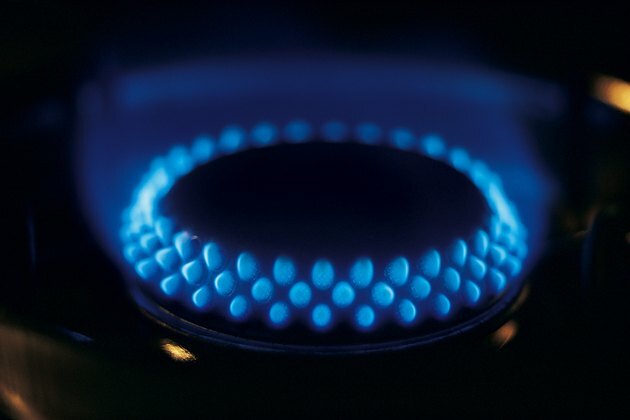 Natural gas is a significant power source; it heats homes, fuels vehicles and stoves, and produces electricity. Despite its numerous uses, natural gas does have some disadvantages. Gas line leaks in commercial and residential settings don't happen too often, but when they do, they pose a significant threat. When a large amount of gas collects in an enclosed area, it may lead to an explosion. Additionally, individuals exposed to the buildup may become ill. Before distributing it to consumers, natural gas suppliers add a scent to the odorless gas. This smell, which the Ohio Public Utilities Commission Website compares to rotten eggs, is meant to alert individuals to any gas leakage. Regular inspections and proper gas line installation help prevent gas leaks from occurring. Malfunctioning natural gas furnaces may emit poisonous carbon monoxide gas. When individuals inhale carbon monoxide it deprives them of necessary oxygen. Sustained exposure to carbon monoxide will incapacitate, and eventually kill, an individual. Have a licensed repair technician inspect your natural gas-burning heaters and appliances every year to ensure the gas is burning properly. Install carbon monoxide detectors throughout your home, and check often to make sure they are functioning properly. Avoid heating your house with a gas oven or your bedroom with a gas or kerosene space heater. These preventative measures will reduce your risk of carbon monoxide exposure from natural gas heaters and appliances. While natural gas doesn't emit the same amount of greenhouse gases as other fossil fuels, it does release carbon dioxide, a greenhouse gas. An excess of greenhouse gases in the atmosphere further expedites the rate at which the planet grows warmer, according to the Environmental Protection Agency (EPA). In addition to its negative effect on the atmosphere, natural gas production, storage and shipping poses a threat to the environment. Small amounts of methane, another greenhouse gas, may escape during these processes. In recent years, studies have shown that the process gas companies use to drill may contaminate nearby water sources. The process, known as hydraulic fracturing, injects highly pressurized sand and drilling fluid into the ground. In a 2009 study, the EPA found that 11 out of 29 wells located near a natural gas drilling site in Wyoming contained traces of harmful materials, including heavy metals, oil and gas. In March 2010 the EPA announced it would begin an extensive study of the impact hydraulic fracturing may have on the environment and on human health.